Lazy day today. Unfortunately it was overcast so the colours weren’t as vivid as they could have been but we were blessed with a breeze, and it was not hot or cold weather. 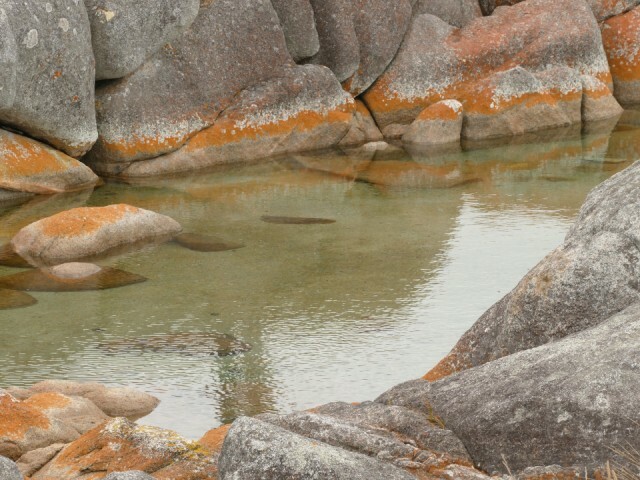 These rocks and pools were at a little settlement called Garden. There were a couple of ultra modern homes there, a piggery and some cows in the paddocks, very isolated but charming.